The University of Tehran has withdrawn a previous report on the passing of its graduate and the founder of fuzzy logic, Lotfi Aliasker Zadeh. 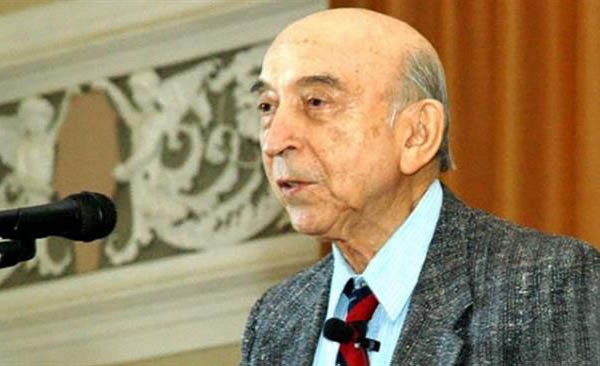 The university's website had earlier reported that mathematician and artificial intelligence scientist, Aliasker Zadeh, had passed away last Saturday, several days after news broke that his health was severely deteriorating. He was born in 1921 in Baku to an Iranian Azerbaijani father from Ardabil and a Russian Jewish mother, who was also an Iranian citizen. The University of Tehran, however, withdrew the report on Monday, saying it had obtained the death report from "sources familiar with" Aliasker Zadeh. The university wished the professor a healthy and long life and apologized to his family and its readers. In in 1931, when Aliasker Zadeh was 10 years old, he and his family moved to Tehran, where he studied at the Alborz College for eight years. He was a professor emeritus of computer science at the University of California, Berkeley, and the director of the Berkeley Initiative in Soft Computing. According to his son, Norman, Aliasker Zadeh "is pretty ill. We are supposed to transport him to Azerbaijan when that horrible day comes. He specifically asked me to have him buried in Azerbaijan."